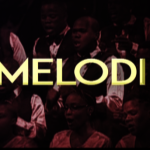 Catch our brand new choir show Melodi starting 4th of June@6pm. We bring the viewer choirs from all over South Africa to perform some of your most favourite choral songs. Don’t miss the amazing display of choral music!